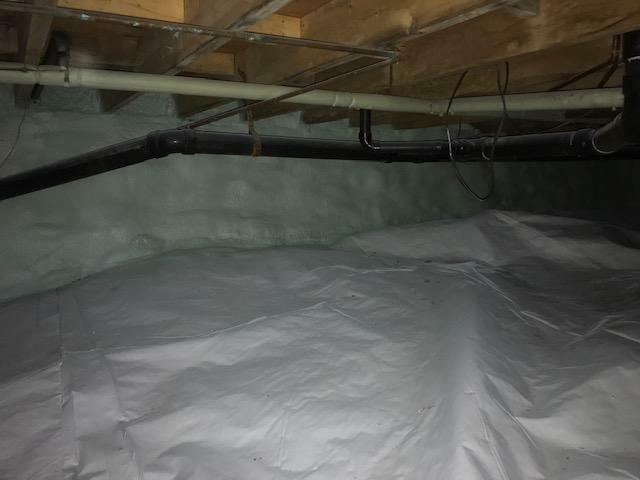 Insulating our crawl space was a great way to lower winter heating bills and take advantage of a generous energy efficiency rebate from Efficiency VT! We had our main crawl space insulated with 4" Heatlok HFO at R30 plus a foam insulation of 2.5" at R18. We also added Dimple Mat and a 10 Mil Clean Space Vapor Barrier over the dirt floor of the basement. A small electric space heater installed in the corner easily keeps the crawl space between 45 - 50 degrees all winter. 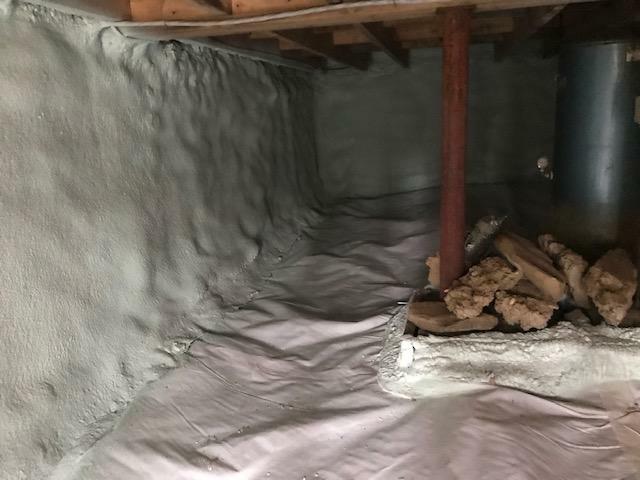 In addition to keeping the space warm, the new vapor barrier also prevents moisture from building up, which prevents mold or structural damage. None! 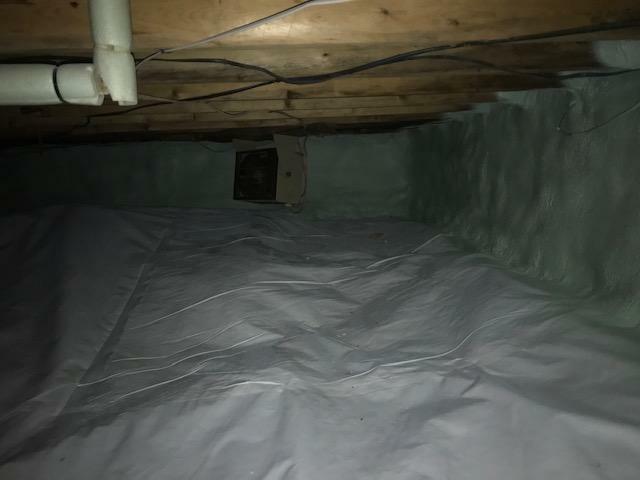 We just set the small electric heater to maintain 45 - 50 degrees, and the foam insulation ensures the heater draws very little electricity to maintain temperature. 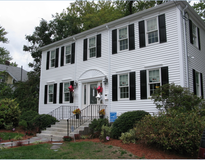 We wanted to lower our winter heating bills and also increase the value of our house. 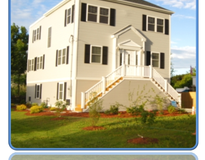 My best advice is to start off by hiring a good home energy auditor and getting a home energy assessment completed. This will provide you with a roadmap for all the energy efficiency upgrades you should make, and the expected ROI of each upgrade.